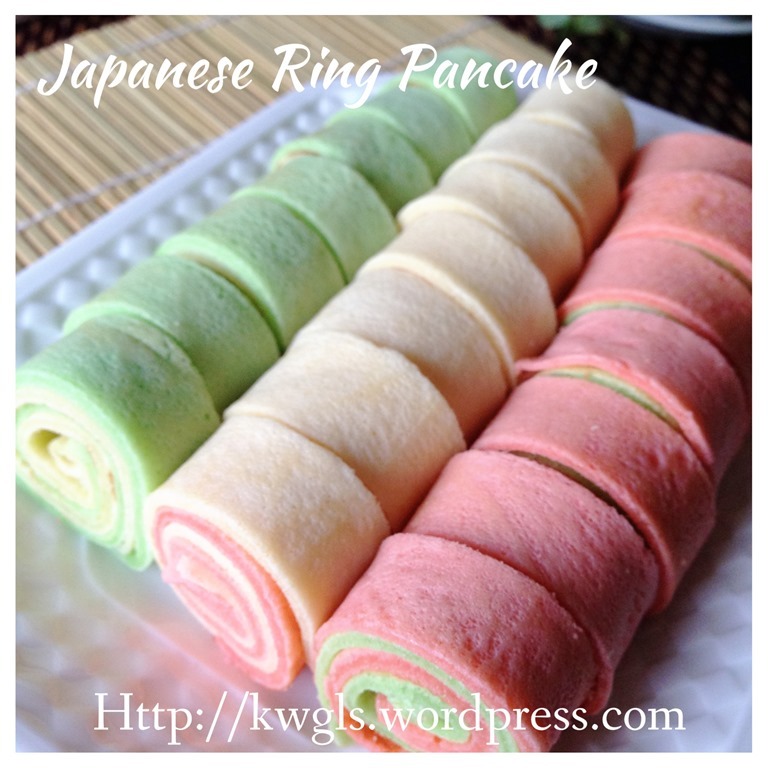 Prepare some of these ring pancake for kids breakfast… Don’t usually prepare cute breakfast for kids and once in a blue moon….No changes in the recipe but I made it thinner… This pancake can be eaten plain or with your preferred cream… Remember don’t over fry your pancake as it will be hard and difficult to role.. 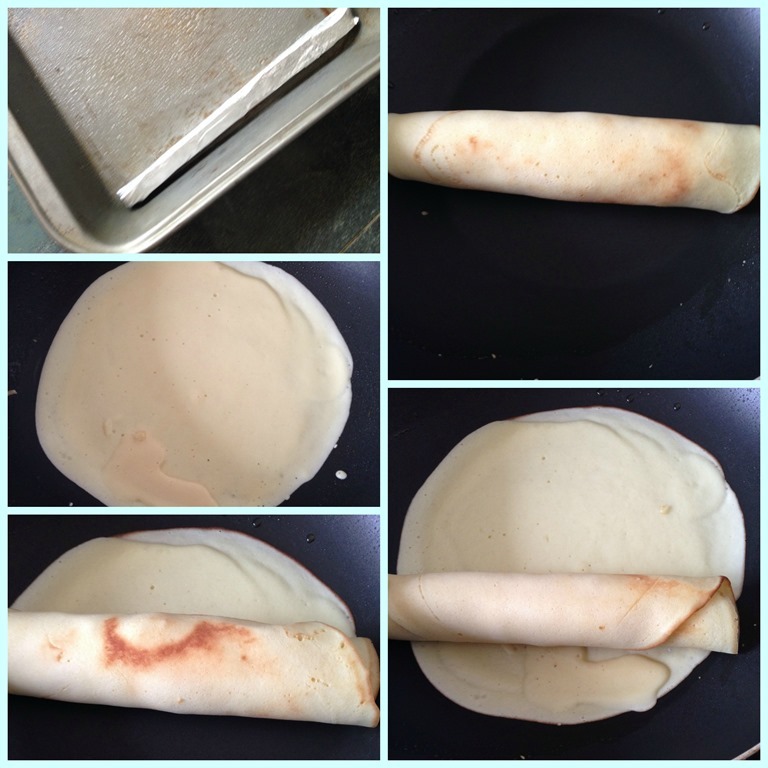 Preparation is the same as other pancake with an additional task of rolling and cutting the pancake. 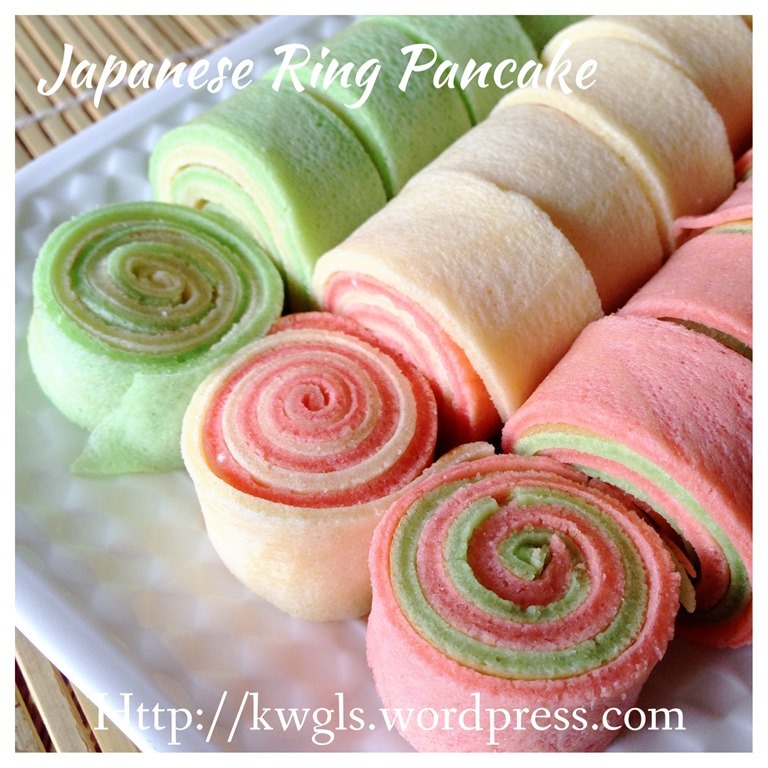 Do use your creativity to design a simple beautiful pancake. 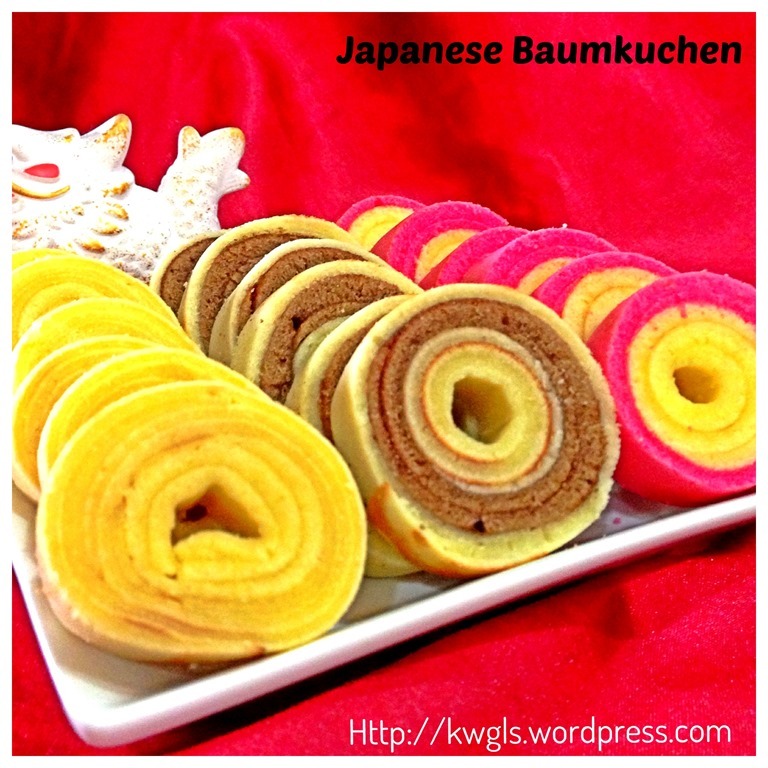 It is such a coincidence that I came across Baumkuchen, the German layered cake when I was searching for the history of layered cake (kek lapis) a few months back. 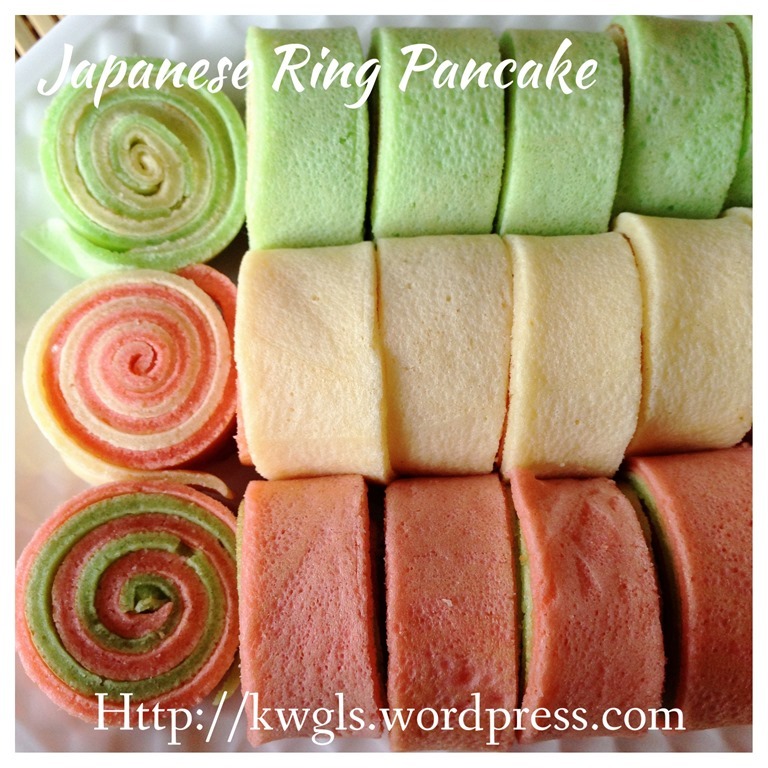 Kek lapis in Sarawak, Malaysia is very famous for its unique design and I do know that the cake were popularized in the late 1980’s introduced by Indonesians to Sarawak. Indonesians, under the colonization of Holland had its spiced layered cake (kek lapis lengit) for at least a century. The Dutch introduced this cake and subsequently “localized” the cake by additions of various local spices such as nutmeg and cinnamon. 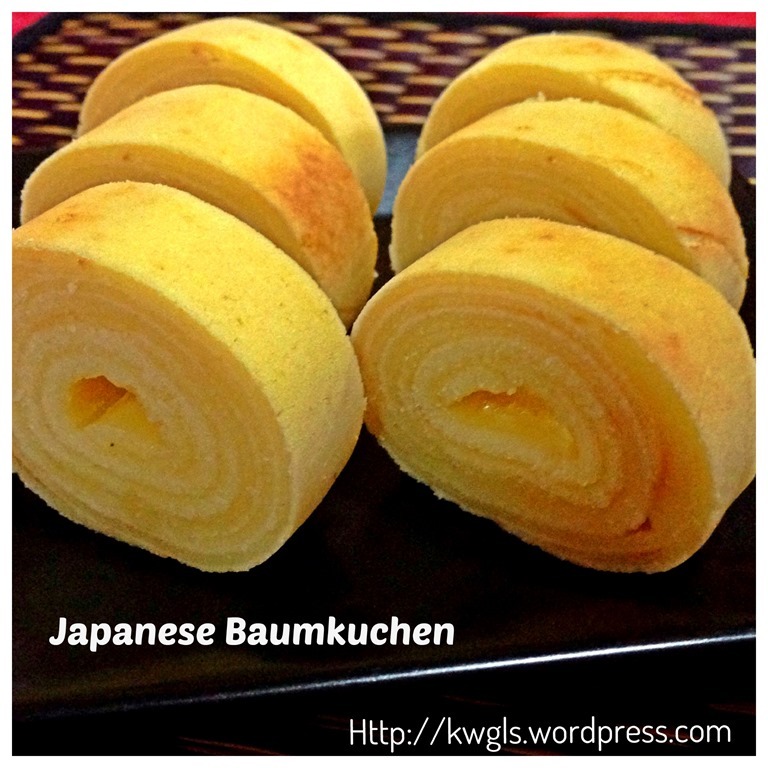 When I searched for layered cake, Google directed me to this Baumkuchen, the German’s meaning of a tree cake. 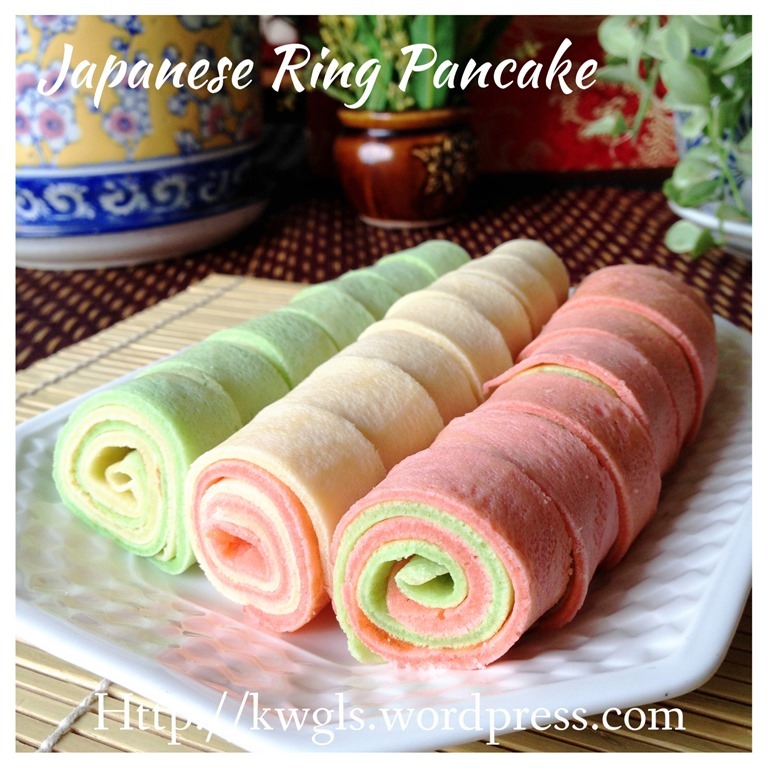 When I looked at the picture, it is a ring cake like the Swiss roll and big machines with roller were used to produce the cake. 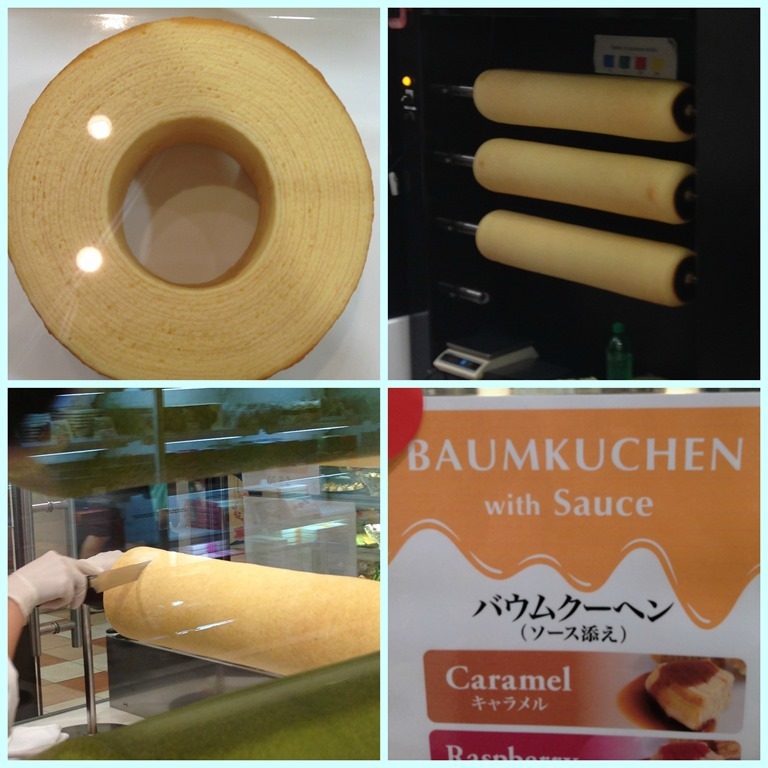 A few weeks later, while I was shopping at Takashimaya shopping centre in Singapore, I was rather surprised that Baumkuchen was sold in Singapore and I have managed to take some pictures through the glass windows. 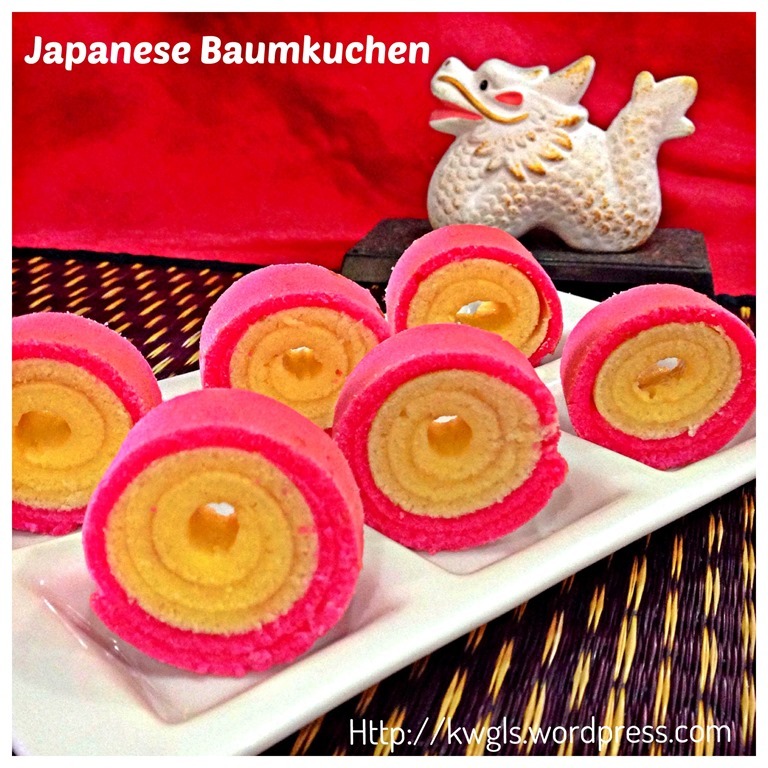 I have totally no idea how to make such a cake at home until I stumbled upon a Japanese blog. 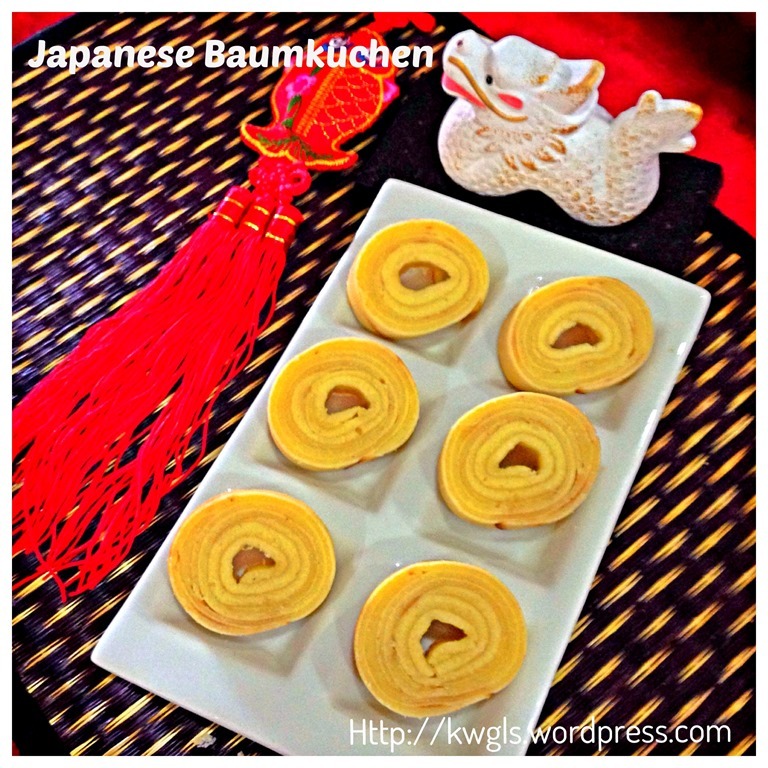 It had a video that showed how to make the Baumkuchen and immediately, I have put down in my to do list. Today, I have decided to try what she had shared and I am pleased with the results. It is a simple yet delicious “pan” cake. The original recipe requires a rectangular omelette pan (Tamagoyaki Nabe) which I do not have and I definitely will not buy one just for purposes of making this pancake. Therefore, I have used the normal round sauce pan. Of course the only difference is that the recovery rate is lower because of the round sides of the pancakes that you may have to cut off. Other than that, there is no difference. 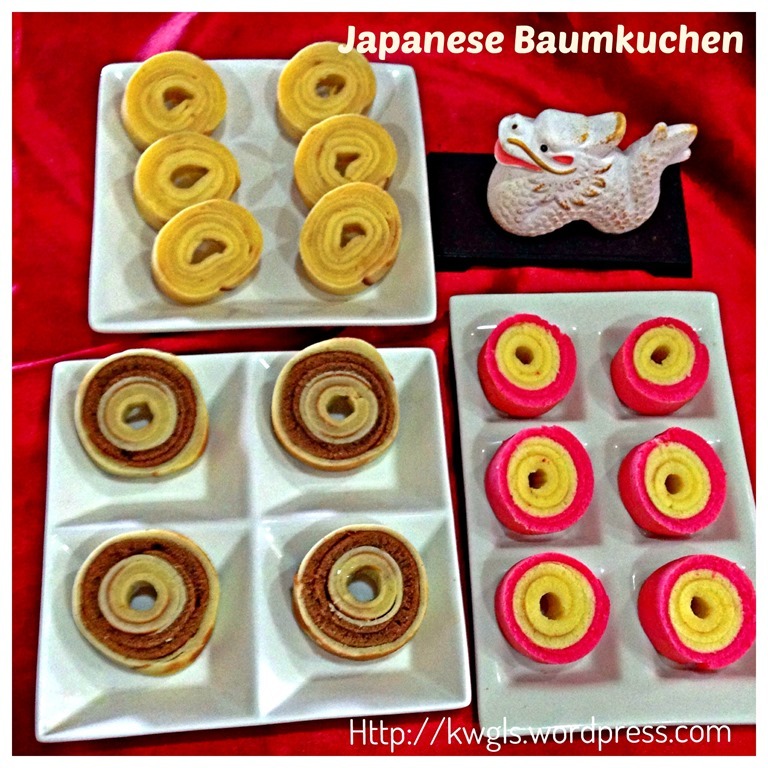 I have tried to create some visual effects on the Baumkuchen by incorporating strawberry and chocolate sauces to the batter. 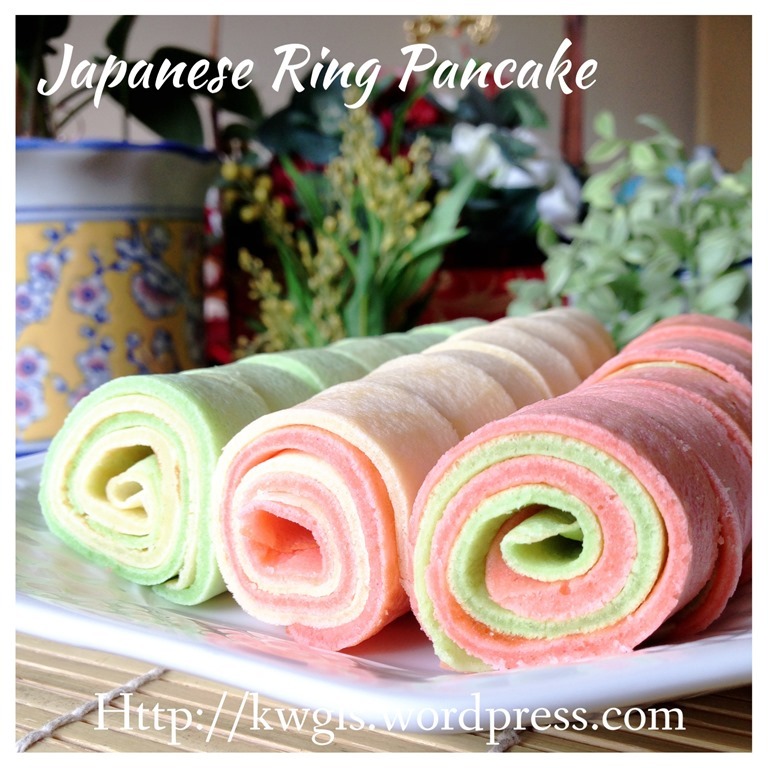 However, I found that the texture after adding such sauces are not as good as the plain Baumkuchen. Therefore, I will not share the recipe for these two variants. If you want, you can consider adding permitted food colouring gel and come out some nice design to impress your guests. 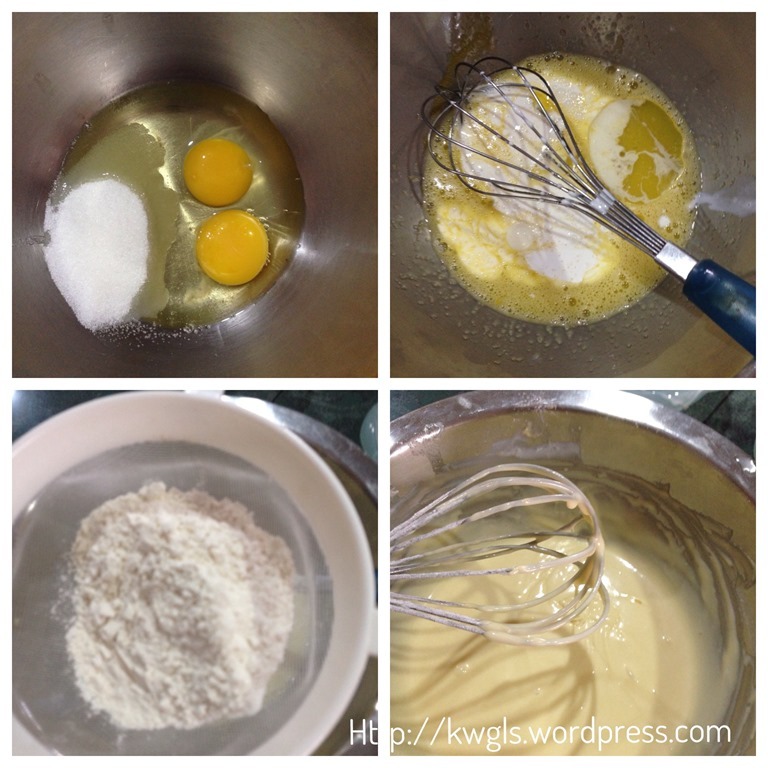 In a big whisking bowl, use a balloon whisk to whisk the eggs and sugar until well mixed. Add in fresh cream and cooking oil/melted butter, whisk until well mixed. 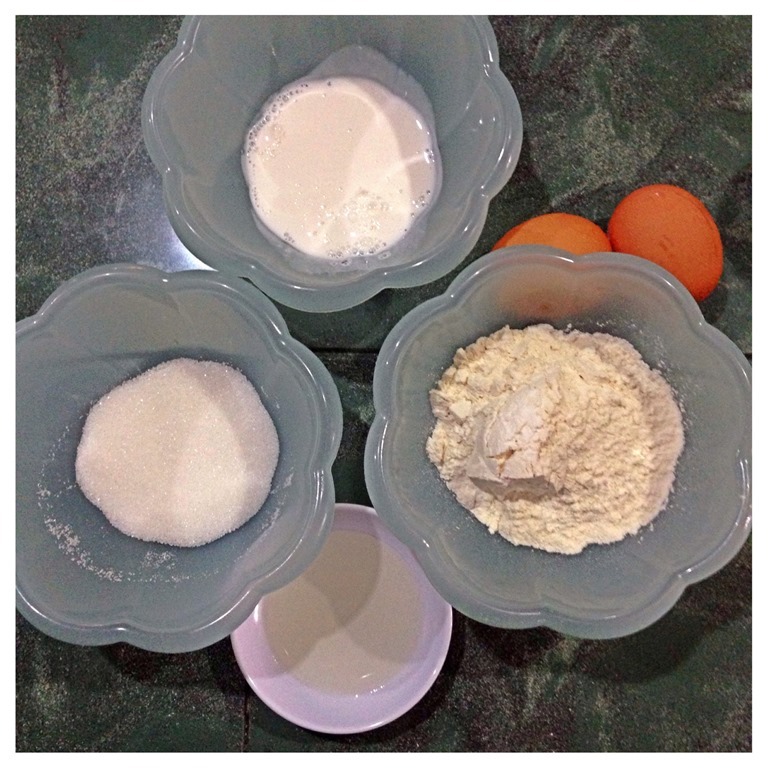 Sift in the self raising flour and stir until smooth (no lumps). Wrap a few rounds of aluminium foil on a chopstick (or anything round and can withstand heat) to make the core tube. Grease the core tube and set aside. In a flat frying pan (preferably non stick pan), put some cooking oil and heat under low heat. Put one ladle of batter to the pan, spread as evenly as possible. When bubbles appear on the surface of batter, place the greased core tube and start rolling and let it sit in the pan for about 1 minutes or has browned. Take the pancake out and set aside. Put another ladle of batter and wait until bubbles start to surface. 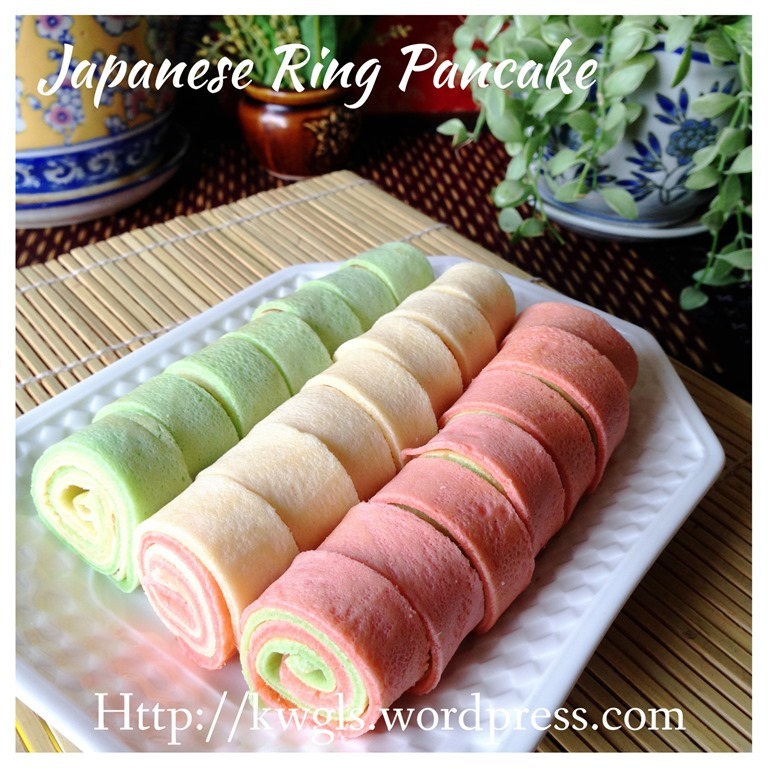 Put the first rolled pancake on top of the batter and start rolling again. Repeat the same procedures until all the batters have finished. Let it cooled before cut into desired pieces. I am unsure whether what I have prepared taste the same as what is sold commercially. However, what I know is the taste of this recipe definitely to my liking and I will keep the recipe for party ideas. The taste is just a like a milky and buttery pancake. 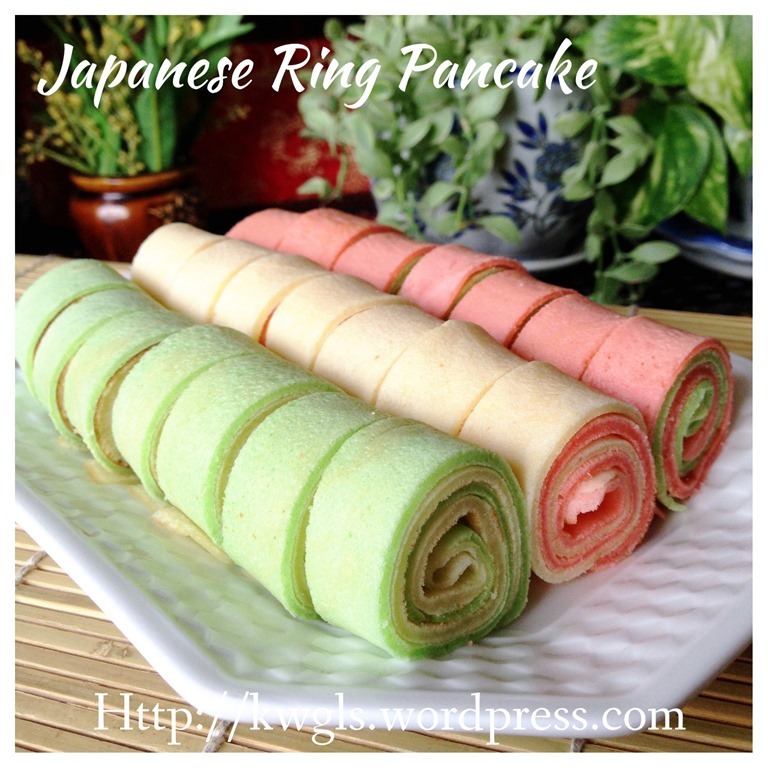 If you like to make pancake, why not make a pancake of different designs. Hope you like the post today. Cheers and have a nice day. 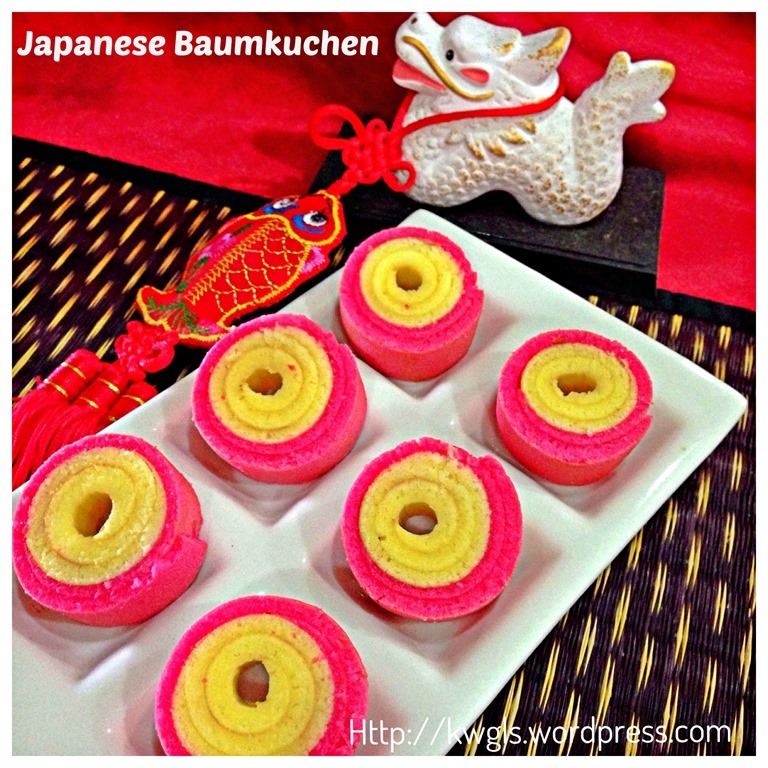 This entry was posted in Cakes and cookies, Chinese and Asian Cakes and Snacks, Food Preparation Series and tagged 8, Baumkuchen, german layered cake, German tree cake, GUAI SHU SHU, Guaishushu, home made baumkuchen, Japanese baumkuchen, Japanese Ring Pancake, kenneth goh, postaday, Tree cake. Bookmark the permalink. 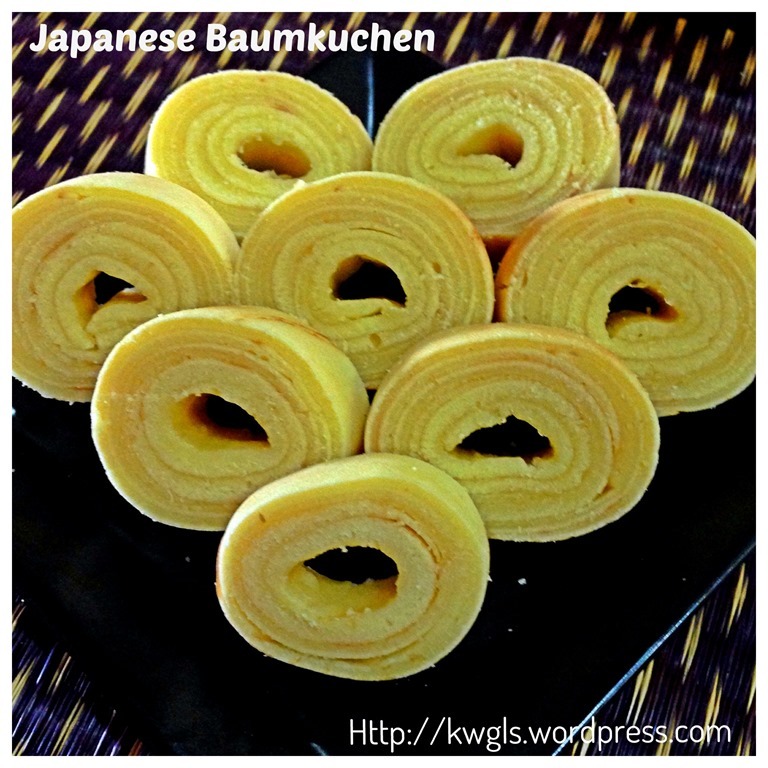 The baumkuchen I had in Japan have thin layers rolled up tightly like a Swissroll. I find them to be quite dense and bland. This is awesome Ken, kind of like a cinnamon roll idea but in a cake and so many different flavors! The kids would LOVE these. Pinned! What a great idea! I love this!! Hi, can I use evap milk in place of fresh cream?